Offshoring and business outsourcing in the Philippines is not an alien concept to organizations all over the world. In the last couple of decades, the country has emerged as one of the top outsourcing destinations in the world. Foreign businesses and multinational companies can take advantage of the lower business costs and highly talented workforce that the country has to offer. It can be massively beneficial to companies that want to scale up their operations quickly. Not only does offshoring to the Philippines allow you to offer the best customer service possible, but it also enables you to expand your business beyond the shores of your country. 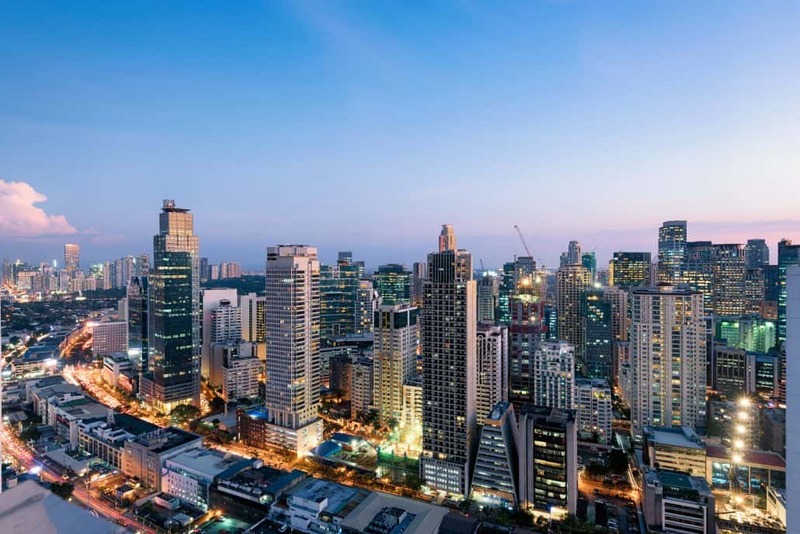 Here’s a complete checklist that can help you determine exactly why and how you can leverage the Philippines to improve your business performance and boost your company’s profit. Many businesses that decide to offshore their operations do so with business costs in mind. In fact, a 2016 survey found that 59% of businesses cited that cost-cutting is their primary reason for outsourcing, while 57% claimed that it enables them to focus on their primary business function. In most western or European countries, labor is expensive because the cost of living is also high. In a developing country such as the Philippines, however, labor costs and professional fees are much lower. More importantly, the government is encouraging foreign direct investment. That means you can benefit from various tax exemptions and incentives from the from the Philippines Economic Zone Authority (PEZA) and the Board of Investments (BOI). Tax incentives and exemptions pertinent to business outsourcing and offshoring are covered by various laws such as the Omnibus Investment Code of 1987 (EO 226) by the Board of Investments (BOI), Bases Conversion and Development Act of 1992 (RA 7227), Special Economic Zone Act of 1995 (RA 7916), Tourism Act of 2009 (RA 9593), and the Export Development Act of 1994 (RA 7844). The Philippines boasts of a globally competitive and talented workforce. In 2017 alone, there were approximately 1 million college graduates who joined the workforce, eager to start their careers. That doesn’t even include professionals who are already experienced in their respective fields. 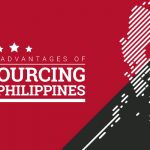 Furthermore, it’s important to note that the Business Process Outsourcing (BPO) industry in the Philippines has been flourishing for a couple of decades. That means that Filipino workers are not alien to the concept of working with foreign companies and servicing foreign customers. If you want to offer the best customer service imaginable, then offshoring to the Philippines is for you. Filipinos are known as a service-oriented people who are warm, hospitable, and courteous. That’s the attitude you want for your team. English is the language of instruction in schools and the official business language in the country. It’s not surprising that most Filipinos are very fluent and highly proficient in English. Communicating with your offshore team shouldn’t be a difficult endeavor. According to the EF English Proficiency Index, the Philippines ranks 3rd on its list out of 20 countries in Asia and 15th out of 80 countries in terms of English proficiency. India, its top competitor in the global BPO industry, scored moderately at 56.12, while the Philippines scored 60.59. Between 1898 and 1946, the Philippines was colonized by the United States. Although the length of time seems insignificant compared to the 333 years of the Spanish regime in the country, the influence of the Americans on the culture and lifestyle of Filipinos has been profound. Today, the western way of life and thinking is evident throughout the country. Working with your offshore team is similar to working with a local contractor. No matter what business process or operation you want to offshore to the Philippines, there’s a business model that suits you. The BPO industry has been around for decades, and the country has seen a wide variety of BPO clients from various industries. Customer service, telecommunications, banking and finance, healthcare and insurance, digital marketing, technology, web design and development, staffing solutions and other industries already belong to the country’s portfolio of foreign businesses. There are various ways you can start your offshore operations in the Philippines. You can partner up with a reliable and experienced business outsourcing company that will help you set up your own offshore office or get into an outsource staffing deal where you can establish a co-employment relationship with very minimal administrative burden. 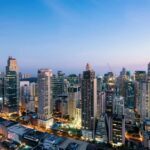 Here’s a complete checklist of the things you need to accomplish when setting up an offshore office in the Philippines. 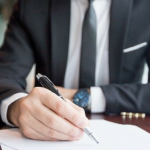 If you partner up with or contract the services of a business outsourcing agency, then the business registration and paperwork will be accomplished by the company. This is by far the quickest and most convenient solution for most foreign businesses that want to offshore their operations in the Philippines. You can register your office as a foreign branch, a foreign representative office, a 100% foreign-owned domestic corporation, a 60/40 owned domestic corporation (only 40% is owned by a foreigner or foreign business entity), a partnership, or a sole proprietorship. The pertinent government offices you need to deal with are the Philippine Securities and Exchange Commission (SEC), the Department of Trade and Industry (DTI), the Bureau of Internal Revenue (BIR), and the Philippine Economic Zone Authority (PEZA). Be sure to know and understand the different tax incentives and exemptions you’re eligible for. When it comes to choosing an offshore location in the Philippines, you’re not just limited to Manila. According to the Tholons Services Globalization Index, Manila, Cebu, Bacolod, Davao, and Sta. 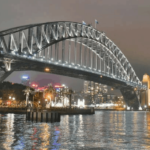 Rosa Laguna all belong to the world’s Top 100 Super Cities. Choosing the right city and office location depends on your goals, objectives, and niche. Are you building an offshore manufacturing plant or are you setting up a customer support office? If, for example, you’re building a manufacturing plant, then you may want to consider a location with a large land area outside the city. If you’re setting up an offshore office for customer service or other business operations, you may want to choose a location within business districts in key cities. It will be more accessible to your employees and will be beneficial to your bottom line. Acquiring and hiring top talents is no easy feat, especially if it’s your first time to start a business in the Philippines. There are various job boards and social networks you can tap. But, the best way to make sure you find the perfect fit for the positions you need to be filled is to partner up with a recruitment firm. In most cases, business outsourcing companies already have a talent pool you can acquire so that you can begin operations as soon as possible. 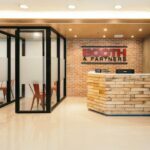 When you sum up all your business needs when setting up an offshore office, partnering up with a business outsourcing company may be the most advantageous decision. Not only are you leveraging their expertise, but it allows you to recruit top talents. Furthermore, full assistance will be provided for the physical and logistic setup of your offshore office. You don’t need to do all the legwork by yourselves in a foreign and unfamiliar territory. You have Filipino partners who can help you get the best deals that will work best for your business goals. Don’t hesitate to shop around. There are a wide variety of business outsourcing vendors, but be sure to choose one that is reputed to deliver results. Remember, you’re starting and building a relationship with your offshore partner and team. This relationship should be beneficial to all parties involved in the long run. Here are the things to look for when deciding on your business offshoring partner. Examine the business profile of your outsourcing vendor. Look into details such as the number of years they’ve been in the business, key services, client roster, and available resources. 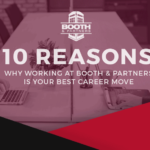 Information such as these will allow you to get a clear picture of their core focus and specialization, as well as their capabilities as an offshoring partner. Ask about the statistics and data regarding their employee engagement, retention, and attrition. This will allow you to determine how employees generally feel about the outsourcing vendor. High employee engagement and low attrition rates will minimize risks and unnecessary transitions. Remember, employee satisfaction and engagement rates are indicators of how well a company is run, and how well they take care of their staff. Some outsourcing vendors have clients that have been with them for years. This is a great indication of how outsourcing vendors focus on engaged and collaborative clients so that they can build and develop an extension of their team in an offshore location. What business outsourcing model do they use? Some vendors offer office set up services and will assist businesses for a year, until such time that the offshore office can independently operate from the outsourcing vendor. As mentioned, you’re building a long-term partnership with your outsourcing vendor. As such, it’s important for corporate culture and values to match your business’s. When corporate culture is aligned, it’s easier to collaborate and establish a relationship between two parties. IT infrastructure and security are fundamental to any offshore office. Determine and understand the security systems, hardware, and software in place that protect their clients from any data threat. What recovery measures do they have should a data breach occur? Are there any warranties offered in case of data loss? Who holds intellectual property of work deliverables? Available resources such as technology, office space, talent pool or recruitment capability, training, and people management programs are all value-add services that you can benefit from as a client or partner. Ask the outsourcing vendor how they acquire, hire, train, and manage staff members and employees. Ultimately, these resources will also be available to you, and will further allow you to save on costs. Offshoring and outsourcing aren’t just limited to customer support or back-office functions. Here’s a checklist of tasks that you can outsource to an offshore location. Running a business entails a variety of back-office functions that may be outside your expertise. Outsourcing these functions to an offshore location will allow you to save on costs while focusing on your core business functions. 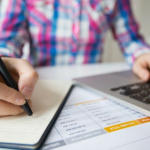 You will no longer have to worry about administrative processes and repetitive tasks such as data entry and processing, accounting, invoice management, and reporting. The Philippines is known as the call center capital of the world, as most multinational companies and large enterprises offshore their customer support services to the country’s BPO companies. Whether you need voice support, email support, or IT support, your offshoring vendor can help you set up an offshore customer service center. Your human resource team is an integral part of your business and should never be taken for granted. It can help you get the top talents, retain them, and develop your employees to achieve their full potential. This is why most businesses that don’t have the capability and resources to maximize their HR functions outsource them to an offshore location. So, you’ve set up an offshore office. But are you managing it well? Are you on the road to a successful offshore operation? Here are some tips you can consider to ensure the success of your offshore office. If it’s your first time to offshore business functions, then it’s highly recommended to start with a small team so that you can test the process and refine it as you grow. Starting on a smaller scale will also let you minimize risks and avoid significant business losses. What do you want to achieve from this, and what are your specific requirements to get to your bottom line? Define them clearly and make sure that your offshoring vendors understand your goals and objectives. Your offshore operations manager is your go-to person. He or she is the person you communicate requests to. Ensure that they clearly understand the requirements so that miscommunication can be avoided when the requirements or work deliverables are cascaded to the rest of your offshore team. Your manager will work alongside you and report how the team is doing, what problems are being encountered, and what’s going well. Having a go-to person ensures alignment and continuity of work. Establish objective KPIs and metrics to measure results against goals. Make sure that your KPIs are attainable, reasonable, and clearly defined. This will help you determine whether your offshore team is on the right path so that you can evaluate the workflow objective and implement necessary resolutions to problems and pitfalls. In business, there are always trends and innovations that emerge. Investing in the training and development of your offshore team ensures that every employee updates their skills and knowledge. This is especially necessary since your employees are working remotely from your headquarters. 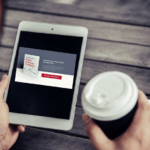 Product trainings will especially help them become more engaged with your company. Visiting your offshore office will allow you to meet the people behind the successful operations. It also helps offshore employees feel more connected to the company and enriches the employer-employee relationship. You can also take the opportunity to meet with key managers for a strategic planning session. 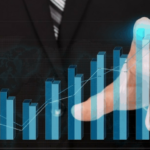 Offshoring business processes can certainly help businesses save long-term costs while maximizing reach and value. Indeed, the Philippines is a top digital nation that offers vast opportunities for foreign businesses. Be sure to partner up with a reliable offshoring vendor in the Philippines to ensure the success of your offshore office.